Search Results for "fan blowing"
Portrait of a professional female dancer dancing with fluttering clothes indoor of a studio with beautiful pink light, fan blowing from below. Shoot with RED RAVEN camera. Attractive young model dancing with closed eyes, wrapped in fabric. Female dancer performing a dance indoor, fan blowing in face, fluttering clothes. Shoot with RED RAVEN camera. The sleeping black cute dog has a fan blowing. Heat. Wind propeller/fan blowing smoke for video shooting purposes. Old and rusted electric room fan blowing smoke and rotating. Charming woman with piece of cloth on eyes and wrapped in teared clothes, fan blowing at her as she dancing. Shoot with RED RAVEN camera. Out door patio fan blowing in the wind on a bright summer afternoon. 1950s: Wet shapes on chalkboard. Circle dries. 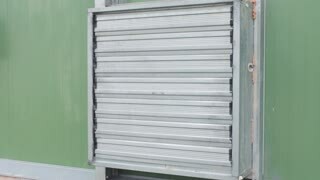 Animation of fan blowing on circle. Gym dumbbell weight sitting on floor. The fan blows in the background. 1940s: Doll pushes photograph off of ledge. 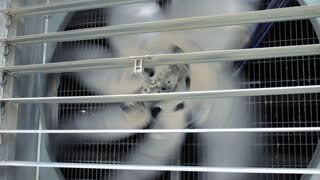 Doll actives table fan. White curtain blowing. Doll turns fan, girl standing on bed pushed against wall by strength of fan.